Because of his crossover work, Herbie Hancock is one of the more famous jazz musicians in history, second to only Miles Davis from 1960-present. 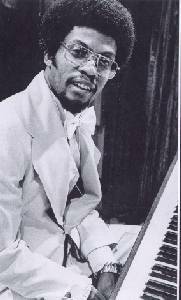 Hancock had 11 albums chart during the '70s and 17 between 1973 and 1984, including three in 1974, figures that puts him well ahead of any other jazz musician in the '70s and beyond. He is also one of the finest eclectics in jazz history, playing free jazz, jazz-rock fusion, bebop, fun, hip-hop, dance, world fusion, and instrumental pop. He was born on April 12, 1940 in Chicago. He was a child prodigy and began studying classical piano at the age of seven. At 11, he performed the first movement of a Mozart concerto with the Chicago Symphony Orchestra. In high school, he moved to jazz, where he formed his own ensemble. By the time he had graduated college, he had worked in Chicago jazz clubs with such famous players as Donald Byrd and Coleman Hawkins. Hancock joined Byrd's quintet and moved to New York. During this time, Hancock was beginning to develop his unique style - a lyrical style that blends gospel, bebop, and blues. While recording with Byrd, he was offered a contract as a leader with Blue Note Records. He recorded his first record in May of 1962. His supporting group included Dexter Gordon and Freddie Hubbard. His song "Watermelon Man" from that record became something of a hit. Shortly after he joined Miles Davis legendary 1960s quintet and along with Tony Williams and Ron Carter, formed the rhythm section that allowed the Davis quintet to explore with a more flexible/less fixed music. After playing five years with Davis, he left and formed a sextet that merged many different styles, such as jazz, rock, and African and Indian influences, but with an electric sound. After disbanding the sextet because of limited financial success (though they were an artistic success). In 1973, he formed The Headhunters, a group that merged funk, rock, and instrumental pop. They scored a very successful crossover with the album Headhunters. Afterward, he started playing more pop music, although he did a series of acoustic concerts with Chick Corea. During this time, he underwent heavy criticism for "selling out," and Hancock repeatedly defended his right to play other kinds of music. During the 1980s, Hancock alternated between electric and acoustic music. He scored another big hit in 1983 with the song "Rockit", which utilized hip-hop (well ahead of its time) and heavy scratching. He received much airplay on MTV with his video. 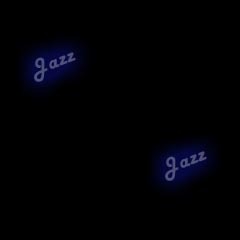 He spent the next two years performing traditional jazz music and won an Oscar for his score in the film Round Midnight. He collaborated with African musician Foday Musa Suso for a duet album. He hosted a variety show on Showtime and performed and lectured on public television. Herbie Hancock continues to perform and record today.